What are the costs for the 2019 GTC tracks? There are no costs for any of the 2019 Graduation to Certification tracks. 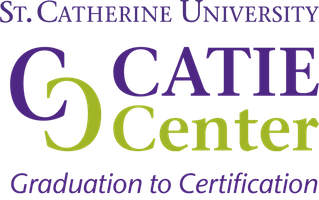 If you are selected to be part of the GTC Assessment or Academic track, the only potential cost would be if you are not a member of RID, the CATIE Center will only pay the member rate for the NIC test. You do need to have passed the NIC Knowledge exam prior to entering the program. I will not have taken the written test by January 3, 2019. Can I request an extension? The completed application form is due January 3, 2019. At this time, you need to have passed the written test so that we know you will be eligible for the NIC performance exam. We are not able to provide any extensions at this point. If you have not taken the written test, we encourage you to register for the GTC Journey track. When will I know if I am accepted or not for the GTC Assessment track? The CATIE Center’s goal is to make decisions and inform applicants by January 10, 2019.